It was a solid night for the Rockstar Energy Husqvarna Factory Racing Team for Round 12 of the 2019 AMA Supercross World Championship at CentryLink Field in Seattle, Washington. Michael Mosiman had a stellar ride in the 250SX West class, finishing just off the podium with a career-best fourth-place. 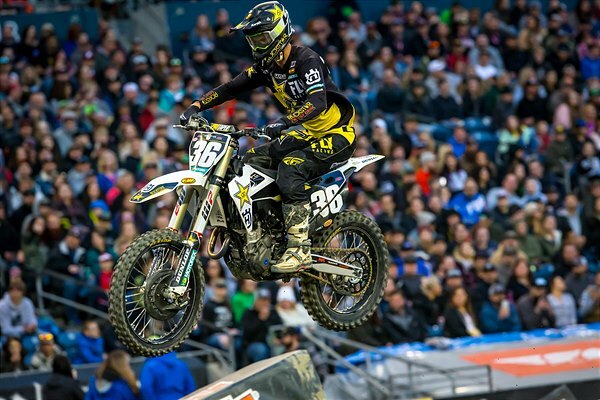 In the 450SX class, Dean Wilson and Zach Osborne battled their way to sixth and eighth-place finishes, respectively.